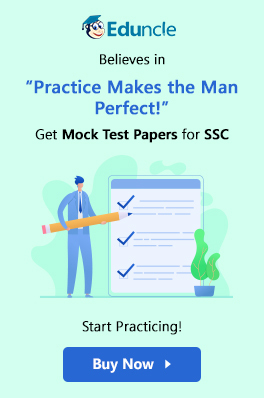 Staff Selection Commission conducts SSC CHSL (10+2) Exam every year to employ eligible candidates for the various posts in Government Organizations. If you are 12th passed and looking for the opportunities for Government Jobs, you must apply for SSC CHSL Exam. In this blog, we will list out the number of SSC CHSL Vacancy 2017-18 for different posts and categories. Staff Selection Commission has released the list of the candidates who have qualified for the SSC CHSL Tier 3 (Skill Test/ Typing Test). Add previous year papers and make your preparations meet the opportunity to clear SSC CHSL Exam. Download Now! After Qualifying the exam, the candidates’ merit list will be prepared based on the SSC CHSL Vacancy 2017 that has been recently revised by the Commission. You can view the updated list of SSC CHSL Vacancies as detailed below in this article. A recent SSC CHSL Notification the final vacancy has been released by the officials on 12th February 2018. Considering the four posts under the SSC CHSL recruitment process, the SSC CHSL Vacancies 2017-18 are majorly divided into four categories as mentioned below. The Data Entry Operator or DEO help to ensure the smooth and efficient handling of information. DEO works on entering data into a computer, operating a verity of office machine, and performing other clerical duties. They help the departments to keep up with the rapid changes in the data that are characteristics of today's Information Age. DEO also known as a word processor, typists, and data entry keyers etc. For SSC DEO, a candidate must fulfil all the requirement along with computer knowledge and office management skills. A DEO must possess good typing speed. This is also the reason for conducting skills test/typing test. A DEO has to work most of the time on the computer, so he/she should be comfortable in using software such as MS Office/ MS Excel. DEO is also responsible to check the e-mails and replying the e-mails to the concerned people. The DEO salary is according to the pay scale of INR 5200-20200 along with the grade pay of 2400. The Postal Assistant or Sorting Assistant is a position, which can be found in the postal services departments. The Postal/Sorting Assistant are recruited mostly in the departments like Post Offices, Banks, Insurance Offices, Regional Offices, Mail Motor Departments etc. The pay scale of a postal assistant is INR 5200-20200 with Grade Pay of INR 2400. Lower Division Clerk or LDC is generally the first level of clerks in any Government Organization. They have to daily office tasks and have the responsibility to maintain the data, files, and documents of the office in a systematic manner. Making Salary Slips of staff. Typing Official Letters, Notices, Notifications. The pay scale of LDC is INR 5200-20200 with Grade Pay of INR 1900. The Court Clerks are appointed as the entry level clerks and are placed in various Tribunals under different Departments and Offices. Such Tribunals are Central Administrative Tribunal, Debt Recovery Tribunal, and National Green Tribunals etc. The Court Clerk handles all administrative work regarding hearing/appealing in the courts. They also check the records and places/replaces them in racks. The Pay Scale of Court Clerks is INR 5200-20200 with a Grade Pay of INR 1900. No. of SSC CHSL Vacancy 2017 for Court Clerk Post => 25; There is no Tentative SSC CHSL Vacancy 2018 for the post of Court Clerk. The detailed list of Vacancies for all SSC CHSL Posts under every Government organization is explained below. The SSC CHSL Vacancies for all the posts have been split into various categories. You can check the SSC CHSL vacancies as per your category. Secure your seat for the LDC & DEO posts by practising previous year papers and mock test series. Download Now for FREE!" With this, we would like to conclude the information regarding the SSC CHSL Vacancy 2017-18 Details. The above list is tentative and may have changed at the time of the releasing SSC CHSL Result. If you have any queries regarding SSC CHSL, you can place them in the comment section given below. We will try to revert you as soon as possible. For more updates, you can follow us on Facebook and subscribe us on YouTube. Sir, my tier 1+tier 2 is 168, I am SC, do I have any scope for SSC CHSL 2016 ? Please reply.